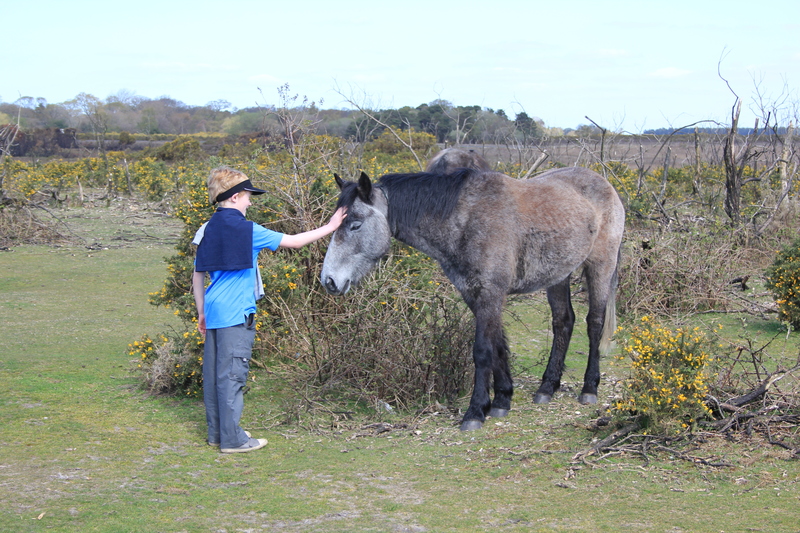 When we left the beach at Lepe we faced a task. 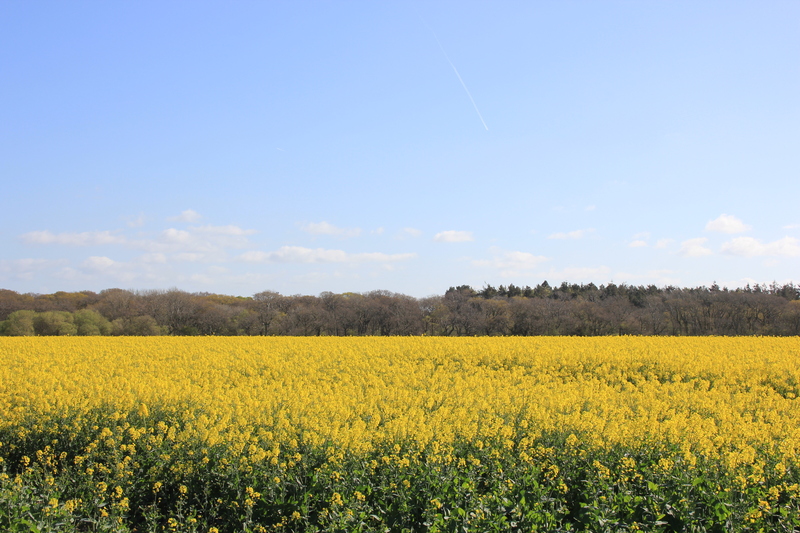 This was to walk four miles up to Beaulieu (on a road) and cross the Beaulieu River (on a road). We would then have to walk four miles back down again (some of it on a road, but, thankfully, not all of it), at which point we would turn right and walk another five miles to Lymington (all of it by road). After 13 miles of tarmac yesterday we would be putting in another 15 miles of the stuff today. It was a prospect we were not looking forward to. To be fair there were some beautiful sights on the way. At times it was pretty exciting, too. 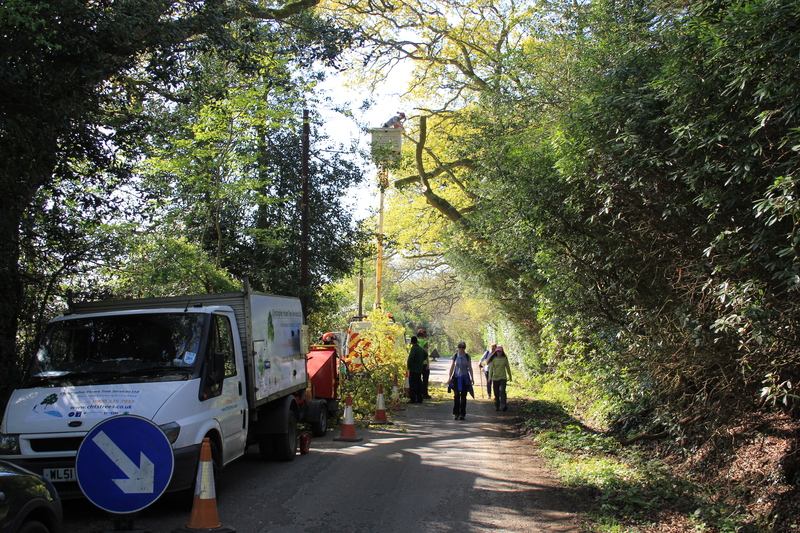 Or at least it would have been if the tree surgeons hadn’t stopped work as we walked beneath them. 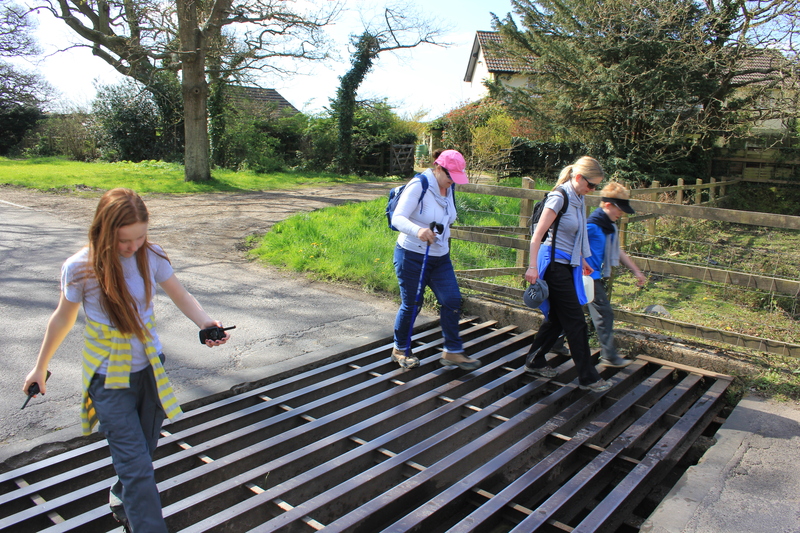 After a tedious road-slog we were pleased to cross the cattle grid which signified we were entering the New Forest National Park. Although we were still following a road, we could at least walk on the open grassland that surrounded it, and we could at least stretch our eyes across to new horizons. It doesn’t look very forested, does it? 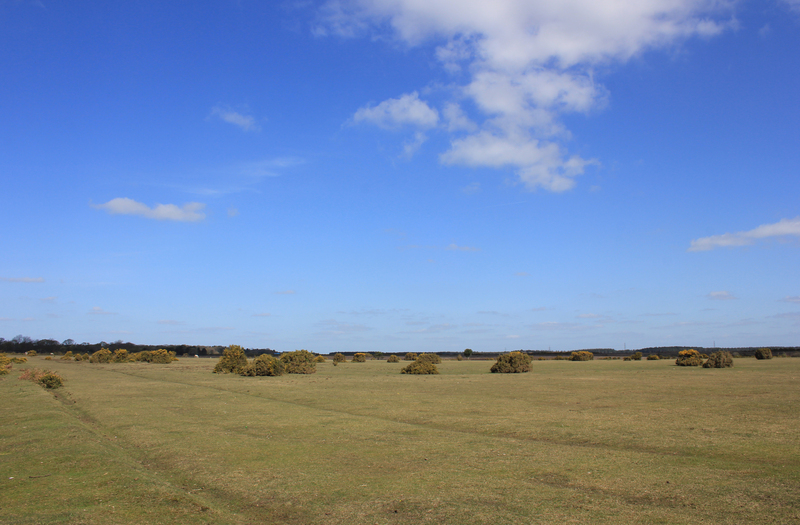 This is because a over 25% of the New Forest is heath or grassland. 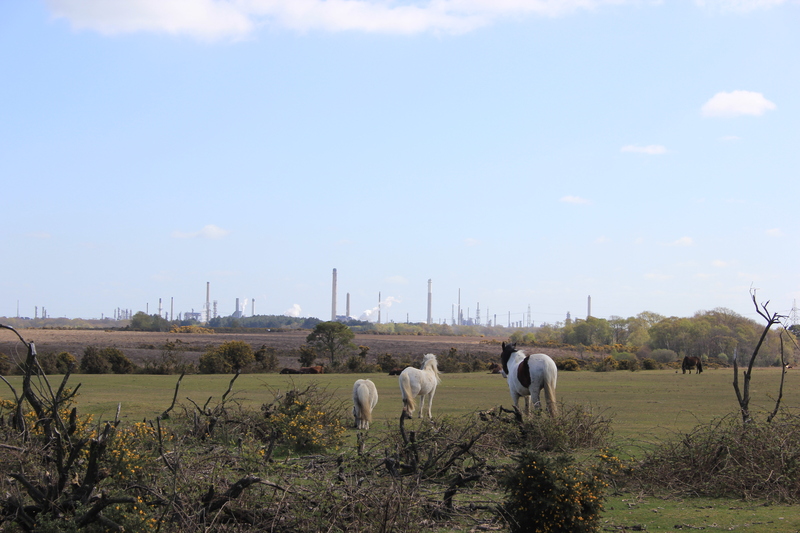 The New Forest is not actually that new. It was created in 1079 by William the Conqueror and was originally called “nova foresta“, literally meaning “new hunting ground”. The word “forest” in those days referred to a hunting ground and not the sort of forest we think of today. Designed for the pursuit of “beasts of the chase”, any peasants who interfered with this were dealt with harshly. Stealing venison carried the death penalty. Shooting at a deer resulted in your hands being cut off. Disturbing the deer resulted in your being blinded (which seems a bit non-sensical to me, because if you can’t see where you are going you are more likely to interfere with the deer)! Suffice to say that the common people of the area were not all that enthused at the new designation of the land off which they lived. They weren’t even allowed to graze their livestock there anymore! Such was the unrest that in 1217 a carta de foresta (Charter of the Forest) was brought into effect. This repealed the death penalty, abolished the punishment of mutilation, and allowed the local populace the common right to graze their livestock and domestic animals on the land. These rights exist to this day – look! 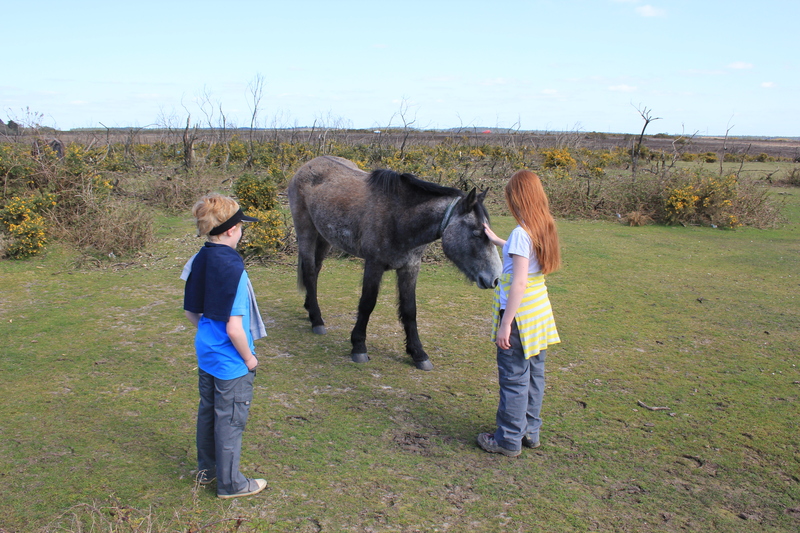 The horses, New Forest Ponies, and other grazing animals roam around the New Forest to their hearts’ content. They often stop traffic, block roads, and stand in the roads nibbling at cottage gardens. Drivers have to be patient. The ponies are very friendly! That’s right Ben! Your hand is still intact at the end of the experience, all thanks to the 1217 Charter of the Forest! And as for Catherine, I think she must be a horse whisperer – look at the soothing effect she has on that pony! 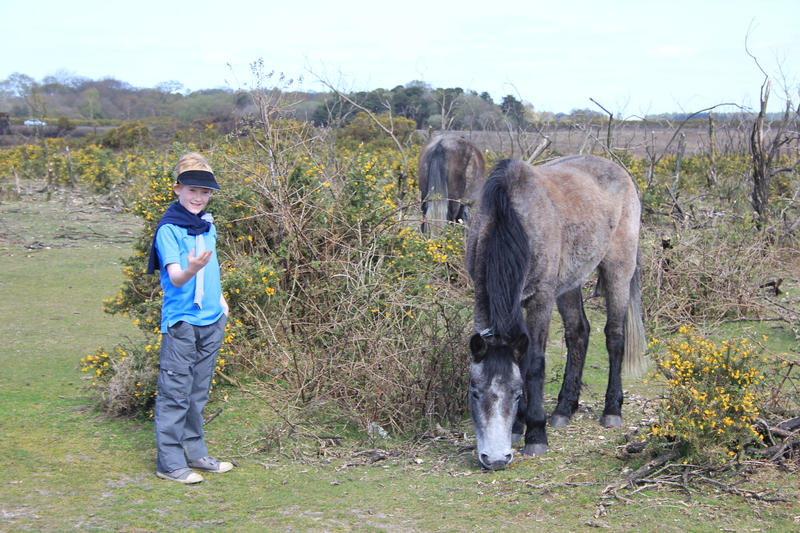 This entry was posted in Hampshire and tagged coast, Hampshire, New Forest, New Forest Ponies, ponies, travel, walking. Bookmark the permalink. Yes but I did give him three warnings first…oh wait…you’re not talking about last night when my son refused to get off Minecraft, are you?